According to the network, FOX had a phenomenal week in the ratings — in large part due to the performance of American Idol. The reality series’ numbers are down from last year but it’s still outperforming other shows by a great deal. Other sources of pride include the performance of shows like Bones and Fringe, as well as the NFL Pro Bowl. · LIE TO ME at 9p delivered a 2.5/6 among Adults 18-49 and grew +39% vs. the previous week’s telecast. In fact, LIE TO ME posted its highest ratings in over one year among Adults 18-49 (since 11/30/09) and in Total Viewers (since 10/19/09). 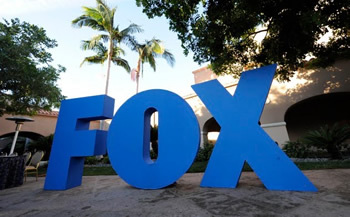 · With the first week two telecast of AMERICAN IDOL, FOX won Wednesday night among all key demos. IDOL posted a 9.2/24 among Adults 18-49, up +18% versus its previous telecast — the most growth ever for the show’s night three vs. night two. · BONES outperformed the next highest rated network in the 9p hour by +11% among Adults 18-49 (3.9/10 vs. NBC’s Office/Parks and Recreation, 3.5/9) and +25% in Total Viewers (12.0 vs. 9.6 Mil for CBS’ CSI repeat). · Sunday’s NFC-AFC PRO BOWL’11 on FOX from 7:24-10:37p posted a 4.7/13 among Adults 18-49, up +12% from last year’s PRO BOWL on ESPN. Among Total Viewers, Sunday’s PRO BOWL was the most watched Pro Bowl in 14 years (since 1997). LIE TO ME at 9p delivered a 2.5/6 among Adults 18-49 and grew +39% vs. the previous week’s telecast (1.8/4). In fact, LIE TO ME posted its highest ratings in over one year among Adults 18-49 (since 11/30/09) and in Total Viewers (since 10/19/09). The first week two telecast of AMERICAN IDOL 10 posted a 9.2/24 among Adults 18-49, up +18% versus last Thursday, 1/20/11 (7.8/21), IDOL’s most growth ever for night three vs. night two. AMERICAN IDOL was up +10% in Total Viewers (25.3 vs. 22.9 Mil) compared to last Thursday. FOX’s AMERICAN IDOL dominated the next highest rated program of the night, CBS’ Criminal Minds by +188% among Adults 18-49 (9.2 vs. 3.2), +213% among Adults 18-34 (7.5 vs. 2.4) and +98% in Total Viewers (25.3 vs. 12.8 Mil). FOX’s AMERICAN IDOL was the highest rated program of the night among Adults 18-49, Total Viewers, Adults 18-34, Teens and virtually all key demos and surpassed the next highest rated program, NBC’s The Office by +93% among Adults 18-49 (7.7/21 vs. 4.0/11). AMERICAN IDOL outperformed the next highest rated net in the 8p hour by +221% among Adults 18-49 (7.7/21 vs. ABC’s Wipeout, 2.4/7), +177% in Adults 18-34 (6.1/19 vs. NBC’s Community/Perfect Couples, 2.2/7) and +153% in Total Viewers (22.5 vs. 8.9 Mil for CBS’ Big Bang Theory repeat/$#*! My Dad Says). BONES outperformed the next highest rated network in the 9p hour by +11% among Adults 18-49 (3.9/10 vs. NBC’s Office/Parks and Recreation, 3.5/9) and +25% in Total Viewers (12.0 vs. 9.6 Mil for CBS’ CSI repeat). At 9p, AMERICA’S MOST WANTED ranked #1 in its hour among Adults 18-49, Adults 18-34/25-54, Women 18-49/18-34 and all key male demos. The NFC-AFC PRO BOWL’11 on FOX from 7:24-10:37p posted a 4.7/13 among Adults 18-49, up +12% from last year’s PRO BOWL on ESPN (4.2/11 on 1/31/10, 7:22-10:44p). Among Total Viewers, the PRO BOWL was the most watched Pro Bowl in 14 years (since 1997).